When she took office last year, the Prime Minister emphasised the importance of a comprehensive industrial strategy in delivering an economy that works for all. She established the Department for Business, Energy and Industrial Strategy (BEIS) – the first time that industrial strategy has been ‘hard-wired’ into a department’s identity. A team of officials tasked with building the foundations for the industrial strategy was quickly expanded. They had to rapidly establish a network around Whitehall and adjust to the requirements of a new department and a new secretary of state. As you would imagine, the months that followed were intensely busy for a cross-Whitehall team working on the development and publication of the Green Paper, Building our Industrial Strategy. To start with the obvious question – what is meant by the term ‘industrial strategy’? You don’t have to delve too far into the relevant literature to see that this is not a simple question. Similar terms with a host of different meanings have been assigned to government approaches in previous decades in countries all over world. According to one analysis, there are 31 definitions of ‘industrial strategy’, and we expect that the work underway here will add a further definition to that list. But as BEIS Secretary of State Greg Clark has said, industrial strategy can be a force for good: “Every business forms a view of how it is going to earn its living in the future. I’ve never understood why it has been considered controversial for a government to do the same.” Understanding the challenges to be addressed, and aligning activity, evidence internationally and within the UK, indicates that industrial strategy can make a real difference to economic performance. This is not the first time that the UK has attempted an industrial strategy. So the challenge for this government and for the Industrial Strategy team is to develop a strategy that is distinct and designed to deliver over the long term. There are a few things that make this strategy different from previous ones. First, it is a genuinely cross-government endeavour – not just for the business department. The strategy is being designed with contributions from BEIS, No. 10, Treasury, and a large number of other departments. And it has been given crucial momentum by strong leadership from the Prime Minister chairing the Economy and Industrial Strategy Cabinet Committee. Second, there is a determination to ensure that this strategy is for the long term and not just to add a new definition to the long list, with no lasting impact. Central to this is ensuring that this strategy is co-authored by the businesses, workers and local leaders who will be affected by it. The first challenge was to identify the strategy’s objective and the main challenges it should address. To do this, the team used the evidence the department had built on the strengths and weaknesses of the UK economy, looking at issues like productivity, regional growth and sectoral trends. The BEIS analytical team was critical in compiling the evidence base and engaging analysts at all levels from across Whitehall and academia, as well as drawing on international sources like the OECD. This economic analysis made use of new approaches, such as data visualisations and mapping, to understand regional economic trends, clusters and emerging sectors, as well as incorporating more recent insights from the OECD and elsewhere into the long tail of poorly performing firms in the UK and some of the reasons for this. Discussions underpinning the Green Paper were informed by new analysis showing how productivity varied across sectors and between firms, even within the same sector; and how, over time, the best firms in each industry, especially in services, appeared to be pulling ahead of the rest. While this was true of both the UK and more globally, subsequent analysis suggests that the variation in productivity across firms and the widening gap between the top performers and the rest, is larger in the UK than our key competitors. Looking below the level of the whole of the UK, the analysis highlighted a long-term regional divide in economic performance. The highly uneven economic performance across the UK is reinforced by the underperformance of our core cities. However, the analysis also pointed to the resurgence of some previously lagging places and sectors suggesting that more balanced growth can be achieved. Based on this work, the objective stated in the Green Paper is: “to improve living standards and economic growth by increasing productivity and driving growth across the whole country”. 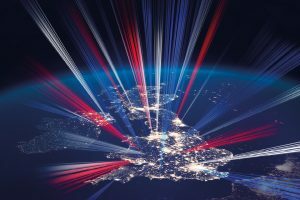 to make the UK one of the most competitive places in the world to start or grow a business – a modern British industrial strategy must make this country a fertile ground for new businesses and new industries that will challenge and, in some cases, displace the companies and industries of today. The team then had to build a consensus across government around the areas the strategy would focus on. There was clear recognition that the strategy should not be narrow; by focusing only on sectoral approaches, for example. But it was also clear that trying to ‘boil the ocean’ with too wide a focus would be likely to lead to failure. We agreed ten areas – or ‘pillars’ – which we knew from the evidence would have the greatest impact on our stated objective, and where there was opportunity for early action and work was in train that was critical to incorporate in the strategy. In each of these areas, the Green Paper candidly assesses the current landscape and the challenges ahead for the UK; sets out the approach we want to take; and puts a number of key questions about the current direction of government policy, inviting new ideas. The Green Paper also sets out the extensive actions already underway to support delivery of the strategy’s objectives. These include the £4.7 billion increase in investment in research and development announced at the 2016 Autumn Statement – the largest increase in 40 years – and a range of actions to create a proper system of technical education to provide better routes into high-quality employment. We are currently looking to further develop and strengthen the evidence base and our understanding of what might inform a successful industrial strategy. For example, employing new analytical approaches, like complexity economics,using datasets and advanced mathematical techniques to understand the diversity of the UK economy )and its places, their strengths and opportunities, how these evolved and how government interventions facilitated this. And we are bringing together a wide range of evidence around the impacts of policy and ‘what works’, both domestically and internationally, to ensure that policies are informed by the best available evaluation and insight. With the consultation having closed in mid-April, the team’s focus is moving towards delivering a White Paper that builds on our strengths and addresses the challenges of driving productivity and growth around the country, and tackling skill shortages. We must also consider how to prepare for future opportunities and challenges. For example, looking at how we: harness digitisation across all industries; adapt to increased levels of automation and its impact on the labour market; prepare for an ageing population; and harness the opportunities of the shift to a low-carbon economy. Critical for this industrial strategy will be creating something that endures and remains relevant. This ambition can only be met by government working in partnership with businesses, workers and civil society across the UK. But government needs to set the framework for this discussion and to provide the confidence that we are committed to an approach that lasts. Previous strategies have been subject to political cycles and ‘policy churn’, and too much time has been spent reinventing the wheel. How we prepare for the industries of the future, retain our competitiveness and reduce inequality across the UK are going to be relevant issues for years to come. 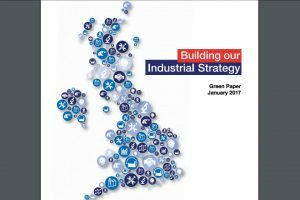 Read the Green Paper ‘Building our Industrial Strategy’ here. If you’re interested in getting in touch with the team at BEIS, you can reach us at industrial.strategy@beis.gov.uk.